Joining the ranks of Ali Landry and Laura Brown during Sunday's Miss USA pageant is Joe Zee, a 2016 Miss USA judge who probably looks familiar to you if you're into fashion at all and/or were addicted to The City, Whitney Port's Hills spin-off show. Before becoming the Editor in Chief and Executive Creative Officer of Yahoo Fashion (his current editorial roles), Zee was the Creative Director at ELLE magazine (and Olivia Palermo's boss on The City). 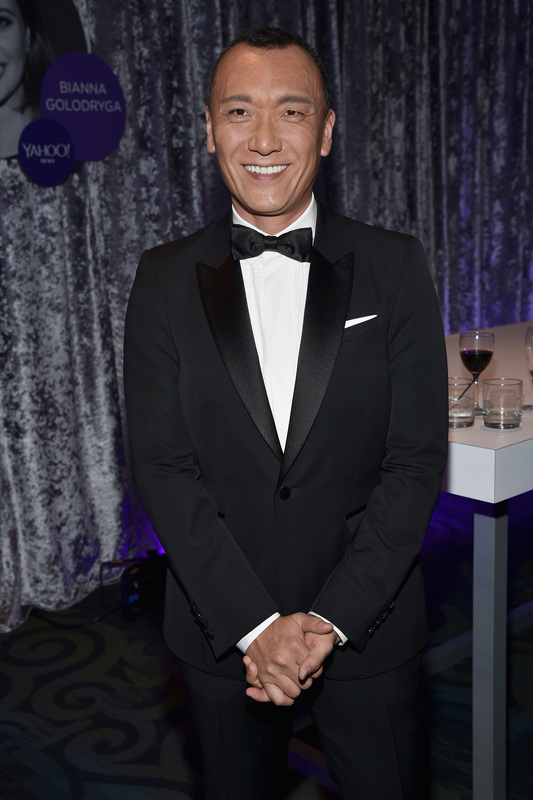 It's safe to say that Joe Zee's entire life has been rooted in fashion — from working at fashion giants such as W, Allure, Vanity Fair to having guest spots in Zoolander, Gossip Girl and Ugly Betty — and it's clear that he is the perfect mix of television personality and fashion journalist, aka exactly the kind of guy you want to be judging a beauty pageant (the contestants are judged on the swimsuit and evening gown portions of the evening, as well as their "personality interview"). And Zee's incredible success in the fashion industry doesn't just stop there: He is also the host of FABLife and the Sundance Channel's All on the Line With Joe Zee. Did I mention that he also just released a memoir of his time in the industry and recently got engaged to longtime boyfriend Rob Younkers? Dude is livin' his best life. Now that you know all about Joe Zee, watch him do his thang — judging the 2016 Miss USA pageant — when the competition airs this Sunday, June 5 at 7 PM ET on Fox. Because along with the stunning contestants and hyped-up musical guests (sup, BSB), the judges are by far the most important part of the pageantry. Especially when they're as qualified as Joe Zee is!